A ban on Chinese tourists to the tiny Pacific nation of Palau has left hotels empty, an airline in limbo, and shown the power China has over its vacationing middle class. The number of Chinese visitors to Palau had increased from just 634 people in the 2008 financial year to 87,000 during 2015, according to figures from Palau’s Bureau of Immigration and the South Pacific Tourism Organisation. But by the end of 2017 — after China seemingly randomly banned state-run package tours from visiting the country — Chinese arrivals plummeted to 58,000. 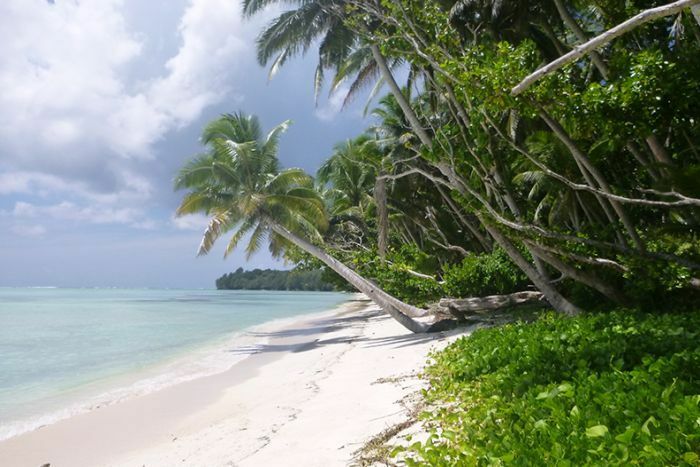 That has left some tourism operators in the Pacific island country reeling, and one airline says it’s been forced to suspend operations because it can’t fill seats. Analysts have suggested Palau’s diplomatic ties with Taiwan — being one of its 17 remaining allies worldwide — combined with Beijing’s ability to control and oversee its tourists have a lot to do with it. How does China control where its tourists go? One tool the Chinese Government has at its disposal is the Approved Destination Status (ADS). If a country has ADS, that means state-run Chinese tour agents are allowed to operate group package tours there. Geopolitical intelligence firm Stratfor’s Asia Pacific analyst, Evan Rees, said the package tours constitute a large part of China’s tourism market and could have a significant impact on recipient countries. “Giving this ADS status to a country can massively increase the flow of Chinese tourists, up to 50 per cent in a lot of cases, so this is a huge lever that the Chinese Government has in sending Chinese tourists abroad,” Mr Rees said. In addition to ADS, China has instituted travel bans to other countries — which effectively stops package tours from visiting those places. “This has been an emerging diplomatic weapon from China with varying impacts on regional states,” said Jie Chen, an associate professor at the University of Western Australia who focuses on China’s international relations. Australia has been an approved destination for more than 20 years, but that doesn’t mean it’s immune to pressure from China. 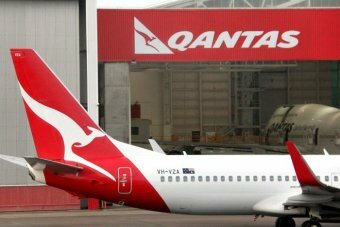 For example, earlier this year, Australian carrier Qantas changed the way it refers to Taiwan, after bowing to pressure from Beijing. Other international airlines were also given a deadline to stop referring to Taiwan as a country, or face punishment. So why is Palau being specifically targeted? Although Palau has never officially been on the list of approved destinations, that hasn’t stopped Chinese tour groups from flocking there in the past decade. But that changed last November, when Chinese officials reportedly circulated a memo to travel agencies, reminding them it was illegal to book group tours to places that weren’t on the approved list. The memo specifically mentioned Palau, and said agencies that booked tours there would be punished. The move was widely thought to be intended to put pressure on Palau, which maintains diplomatic relations with Taiwan, rather than China. “It’s a pretty strong lever,” Mr Rees said. A report by the South Pacific Tourism Organisation (SPTO) found Chinese visitors to Palau dropped 22.7 per cent between the third and fourth quarters of 2017. Meanwhile, total visitors to Palau dropped by 16 per cent over the same period. The SPTO’s quarterly review into visitor arrivals found that drop “mainly reflected the drastic fall from the scheduled and chartered flights from this source market [China] by 63.9 per cent and 17.4 per cent respectively”. Last month, Palau Pacific Airways, run by Taiwanese company Sea Passion Group and servicing flights between Hong Kong and Palau, announced it would indefinitely suspend operations at the end of August. In a letter from the group to Palau’s national congress, it reportedly cited the ban from China and the resulting lack of tourists as the reason it had to shut down. Ms Chen added that the rapid rise of middle class Chinese families meant an increasing number of people could afford to travel overseas and that Beijing knew the “diplomatic value” of this. Late last year, just months before the Pyeongchang Winter Olympics, China placed a ban on group tours to South Korea in protest of the introduction of the US-backed anti-missile system called THAAD. Seoul said the system was meant to intercept incoming missiles from North Korea, but China claimed it was a threat to its security. “The estimated losses for South Korea because of this tourism ban were close to $US7 billion ($9.6 billion) dollars,” Mr Rees said. He added that China had also used the promise of package tourists as a diplomatic sweetener. In 2000, China wanted to sail a carrier it had just bought from Ukraine through the Turkish-controlled Bosporus strait, but Turkey refused. After a diplomatic standoff of 15 months, Turkey eventually relented after China promised several perks in return: one of them was Approved Destination Status. “That was one of the things that won Turkey over and saw them release the Chinese vessel,” Mr Rees said. 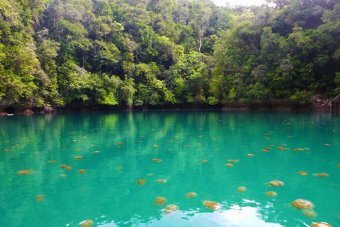 A silver lining for Palau’s beautiful landscapes? 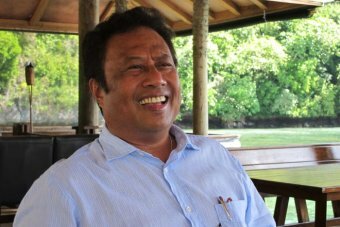 Palau’s President Tommy Remengesau Jr has shown no sign so far that the tourism ban is enticing the country to switch diplomatic allegiances away from Taiwan — in fact, in a way, the tourism ban could be helping Palau. The Pacific islands nation had been grappling for some time with mass tourism and the effect it was having on the environment. 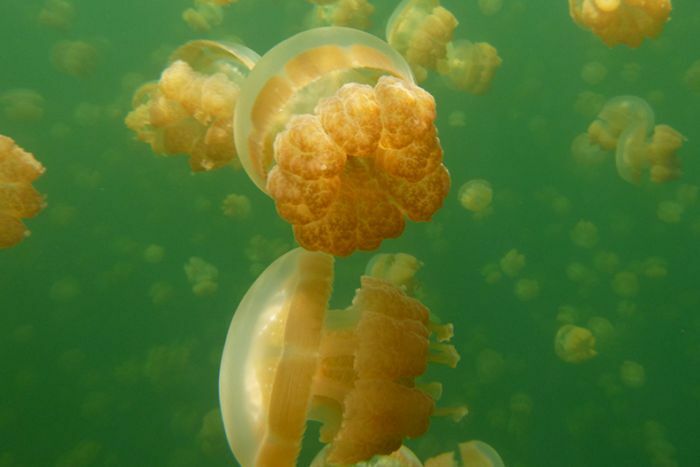 The Government closed Palau’s iconic Jellyfish Lake to visitors in 2017, citing the removal of “additional stress that may be caused by visitors and human activities” as the reason for the closure. Even before China’s travel crackdown, Palau had been making moves to re-position its tourism market, away from Chinese package groups and towards “high yield, low impact” tourists: fewer, higher-spending, and more environmentally aware travellers. 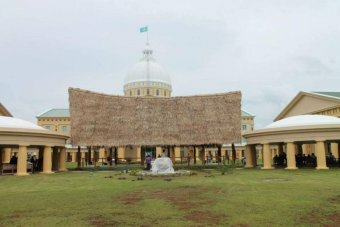 South Pacific Tourism Organisation CEO Chris Cocker told the ABC that this could be a model for other Pacific nations. “Our countries are not made for mass tourism from the Chinese market,” Mr Cocker said. “We have to be very, very mindful of our small and fragile ecosystems and the impact of tourism development to our region.